St. Patrick's Day Celebration! | An award winning restaurant and venue of sporting events and live music. Join us for our 4th annual St. Patrick’s Day Celebration featuring music by Rob Boyle and Johnny Henry. We’ll have specials and giveaways throughout the day and we’ll be serving up our famous “Guinness Braised” Corned Beef & Cabbage all day long! 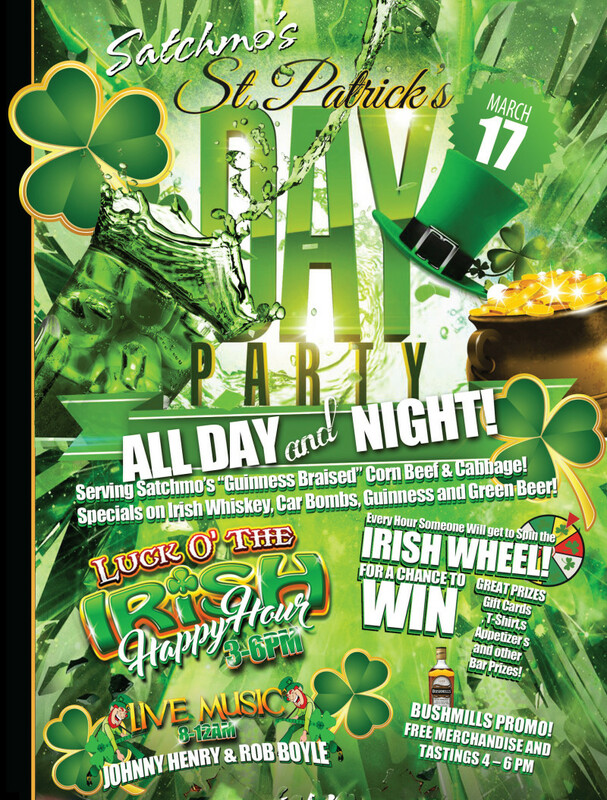 – Specials on Guinness, Smithwicks, Irish whiskey and more. – Give our Irish Prize Wheel a spin for a chance at a number of great prizes! – Bushmills Irish Whiskey promo, 4-6 pm: Enjoy free tastings and merchandise giveaways! – Giveaways throughout the night, including green beads, hats, t-shirts and more!